In accordance with these strategies, they generally claim that 1. they are low risk; 2. reasonable precautions minimize harm; 3. they or their friends have already done it already and they’re fine; 4. they are very careful about nutrition and exercise, which lowers their risk; and 5. if the choice is taken away, they will replace it with other, riskier choices. Homebirth advocates? No, tobacco smokers. You may have been confused, though. That’s because homebirth advocates justify their risky behavior in the exact same way that smokers justify theirs. Looking at these tactics through the prism of smokers’ behavior makes it clear that they are nothing more than psychological defense mechanisms, and have no basis in science. [O]n what grounds is it possible to continue a habit that is widely presented as detrimental to health? In contrast to smokers, homebirth advocates are far more willing to contest the scientific evidence or to make up “facts” to support their belief that homebirth is safe. But even those who acknowledge that homebirth increases the risk of neonatal death are still willing to take that risk. … served to protect [them] from self-blame as well as blame from others. [They] presented themselves as risk-aware and calculating actors, who have nevertheless made their choice … Second, [they] tried to convince the interviewers and themselves of the harmlessness and acceptability of their own [choice]. When talking about their own smoking, participants tended to deny or disprove the possible health risks by expressing a view that their own smoking was actually not that risky to them. In the accounts the health harms of smoking were accepted as a risk on a population level, but not individually. When talking about their choice of homebirth, advocates tend to deny the possible health risks by expressing the view that the risk does not really apply to them. In their accounts, the risks might be accepted on the population level, but not individually. Regardless of the amount of cigarettes the participants smoked, many participants stated that a small number of cigarettes does not pose serious health risks, or at least reduces the harm. Similarly, homebirth advocates insist that homebirth is not risky for them because they are “low risk,” have chosen a qualified attendant or live near a hospital. Homebirth advocates love the anecdote, preferably the celebrity anecdote. Ricki Lake had a homebirth and her baby is fine. My neighbor had a homebirth and nothing went wrong. And most powerful of all, I’ve already had a homebirth and it was glorious. For homebirth advocates, it is axiomatic that good nutrition and exercise reduce the risks of homebirth, even though, as in the case of smoking, there is no evidence to support the claim. Homebirth advocates like to claim that the risks of hospital birth are higher than homebirth, even though that is a bald-faced lie. They also insist that if the choice of midwives is restricted, they will petulantly resort to unassisted childbirth, therefore increasing the risk that their babies will die. medical view … These accounts resembled the I-know-many-old-people-who-smoke arguments..
… [A]nti-smoking advocates and health promotion specialists should consider the following questions arising from smoker’ own perceptions and argumentation: is there such a thing as moderate smoking and, if so, why is it not recommended? Why should smoking not be seen as a lesser evil and compared to other vices? Is it possible to compensate for the consequences of smoking with physical activity or the eating of healthy food? Why is a currently good health status or lack of illness symptoms not a guarantee of future good health? Why there are individuals who have smoked for decades but who don’t get lung cancer? 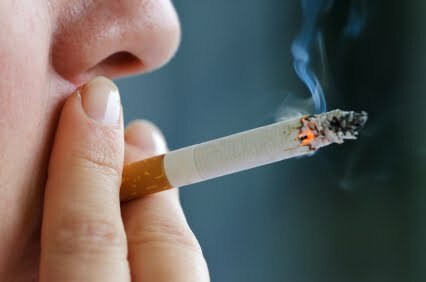 Answering these questions reveals that even moderate smoking is harmful, smoking is not the “less of two evils,” diet and exercise do not prevent lung cancer, and the fact that a celebrity or relative smoked and did not get lung cancer does not mean that smoking doesn’t cause lung cancer. Homebirth advocates should not make the same mistakes that smokers do. ANY homebirth can lead to neonatal death regardless of risk status, homebirth is more risky than hospital birth, diet and exercise do not prevent neonatal death, and just because Ricki Lake had a successful homebirth does not change the fact that homebirth increases the risk of neonatal death. Homebirth advocates would do well to consider that their “arguments” in favor of homebirth are strikingly similar to smokers’ arguments in favor of continued smoking. And as in the case of smokers, rather than conveying the impression that homebirth advocates are risk aware actors making choices that are the lesser of two evils, their arguments serve instead to highlight the fact that they are only kidding themselves.